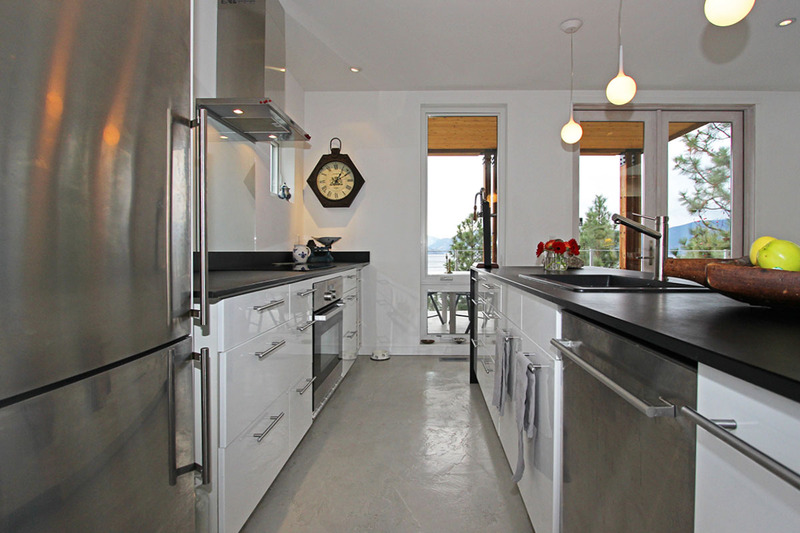 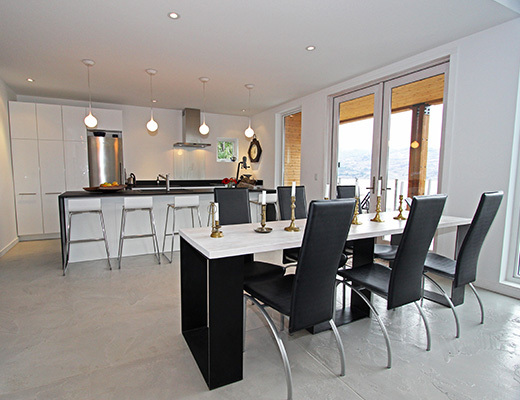 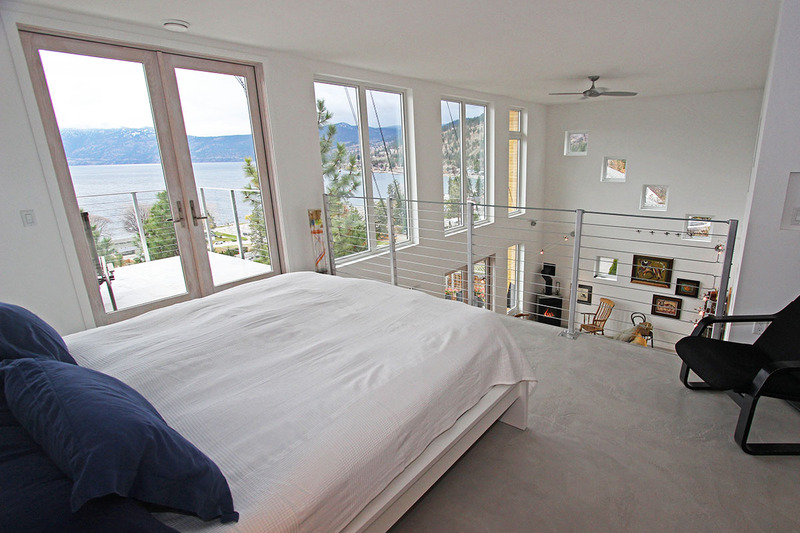 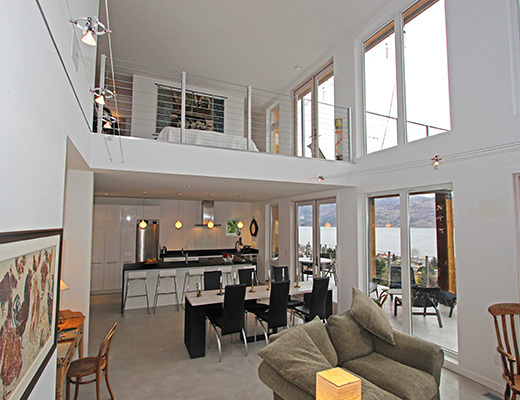 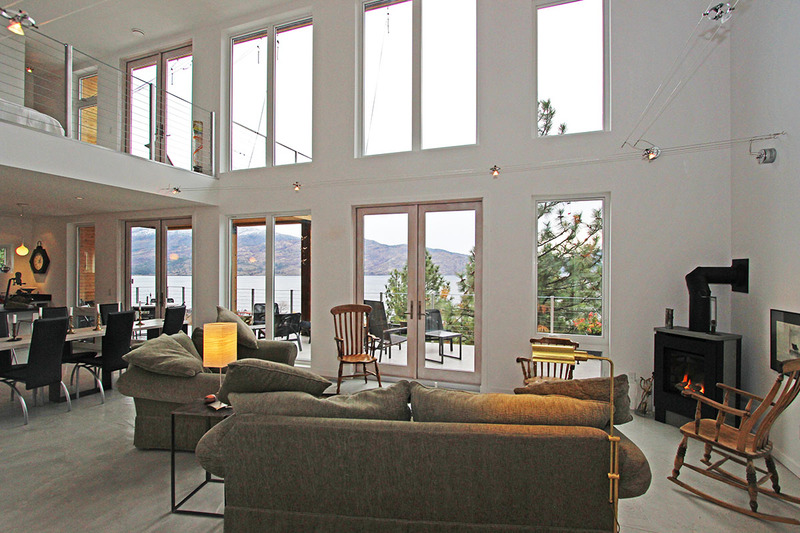 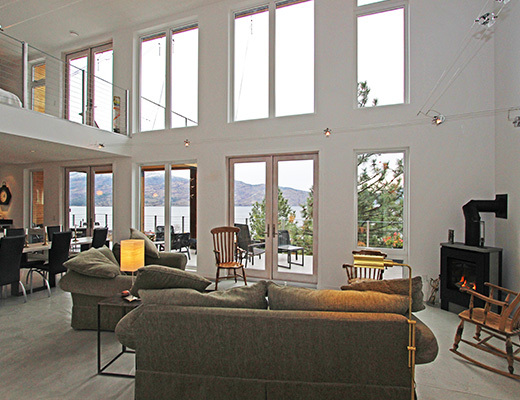 A unique, architect designed, open plan house with truly amazing lake views from all three levels. 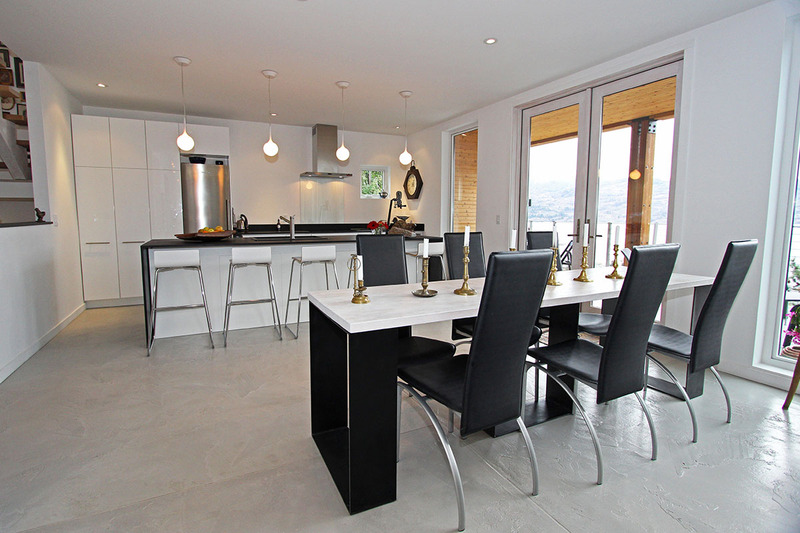 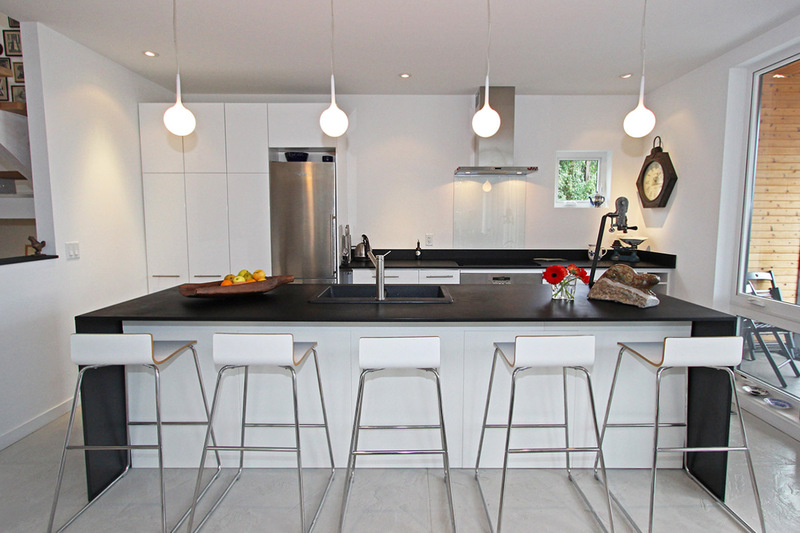 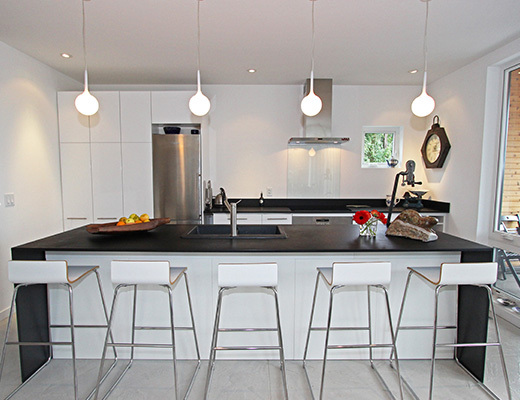 Featuring a simple, elegant design, the entry level has an open plan kitchen, dining and living area and TV alcove. 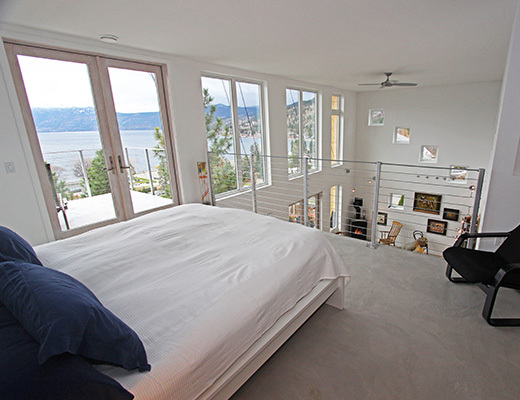 There are windows along the entire 40ft South side and two double glass doors opening onto the full length deck. 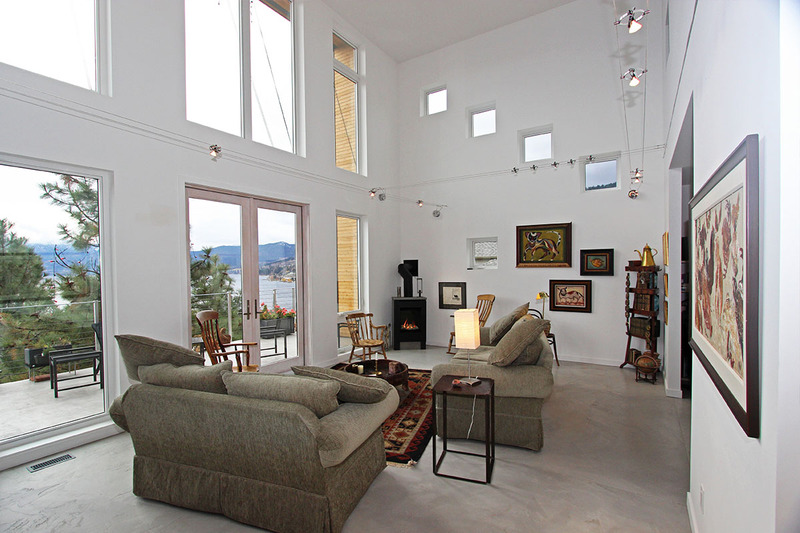 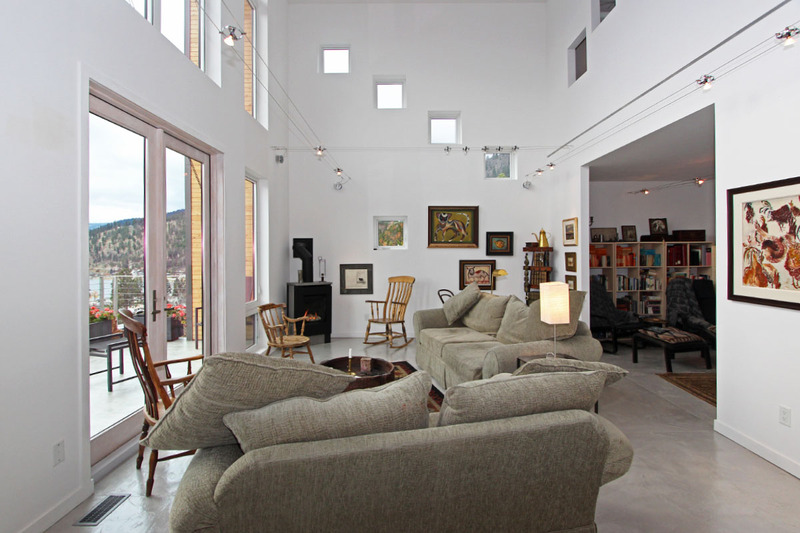 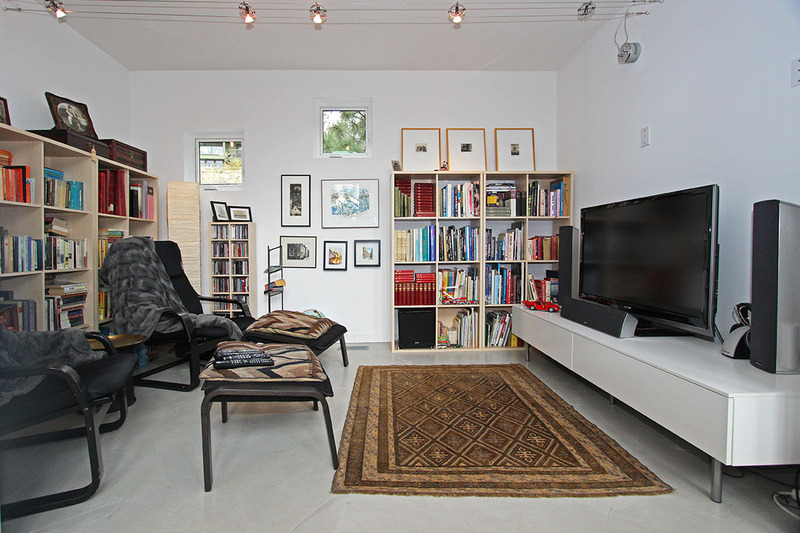 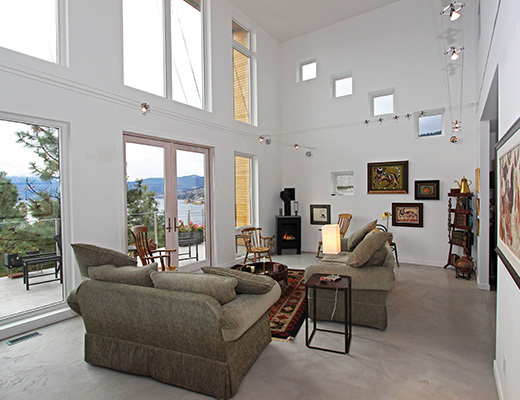 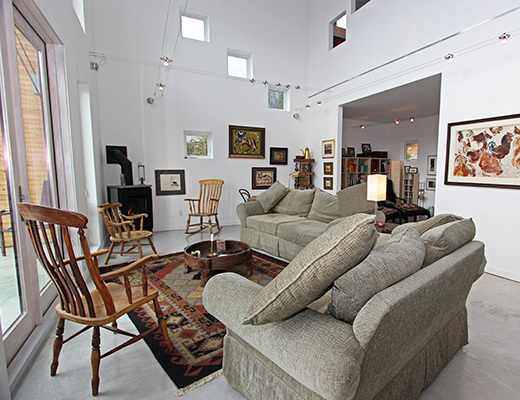 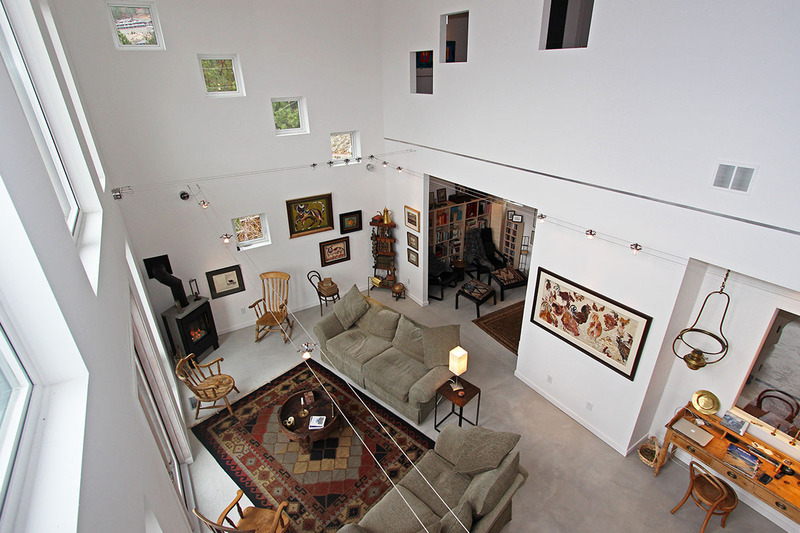 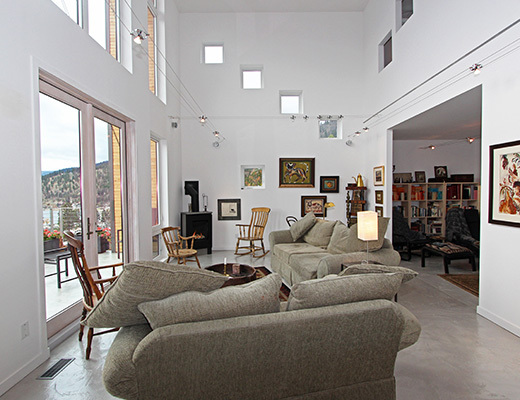 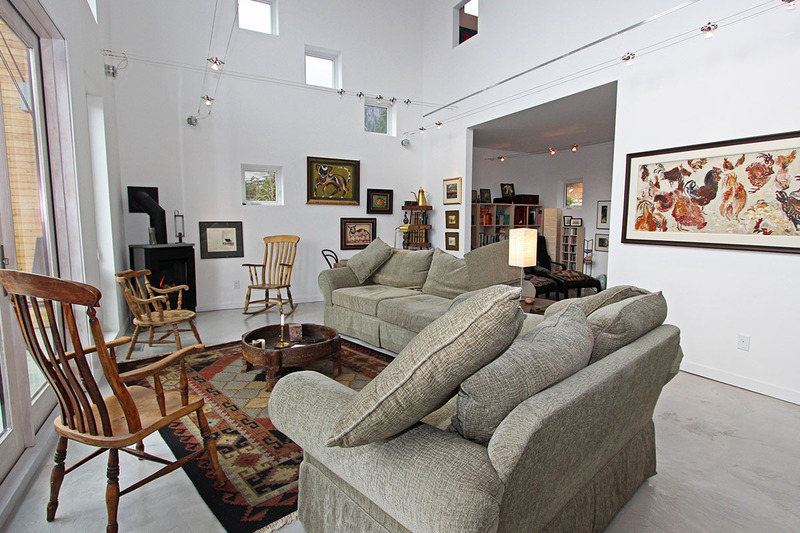 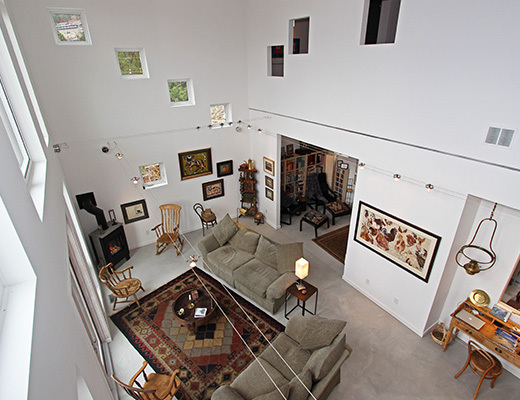 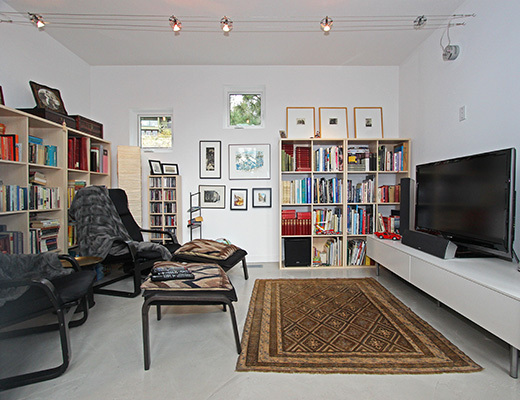 The living area has a double height ceiling with the mezzanine bedroom over the kitchen. 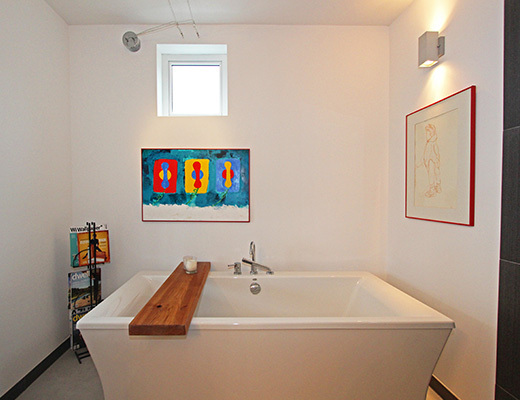 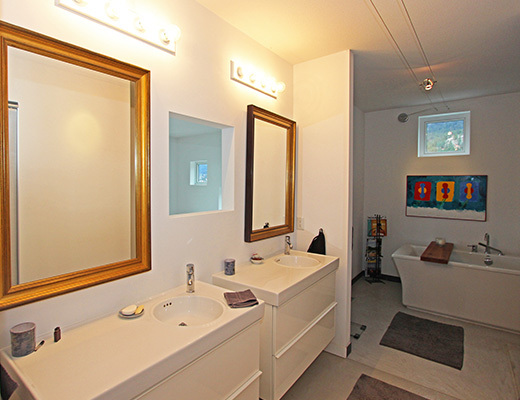 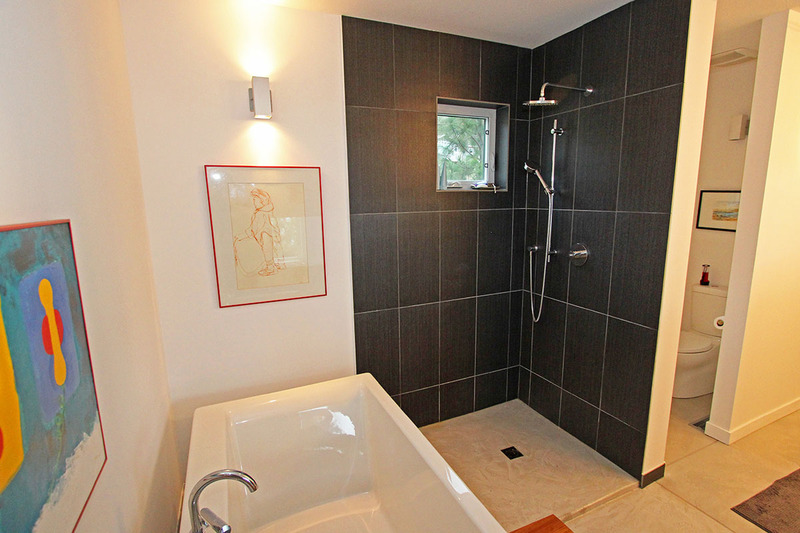 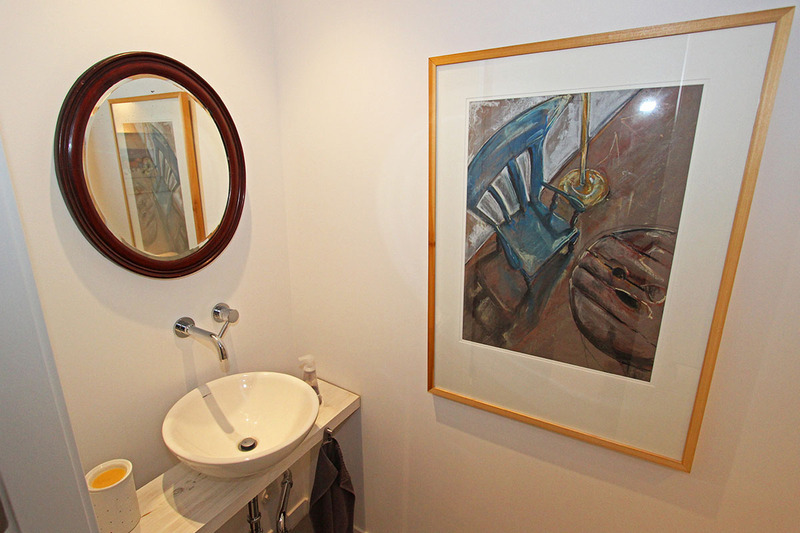 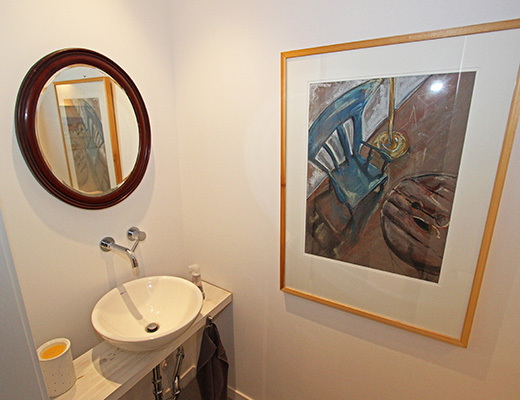 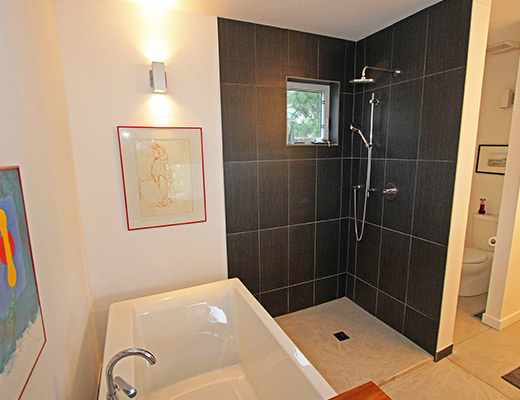 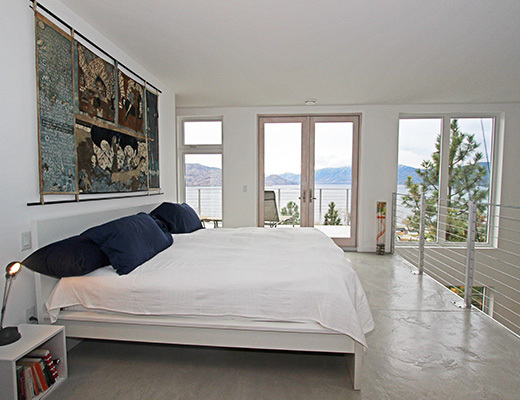 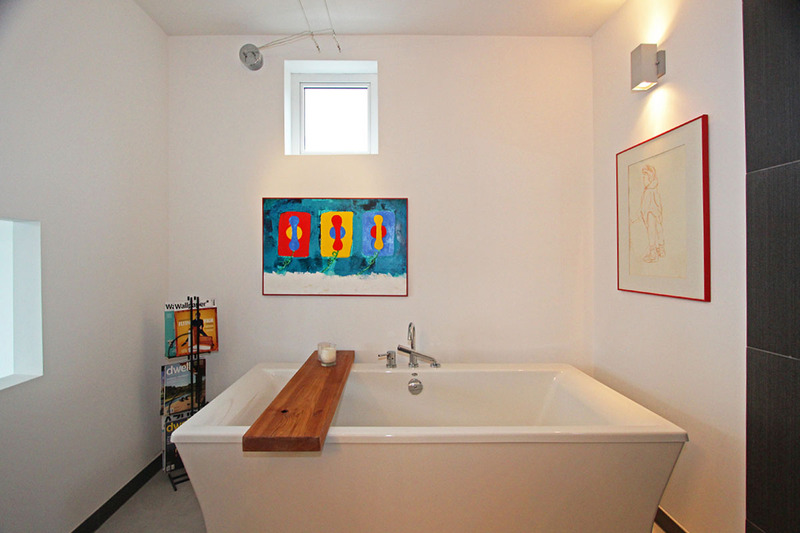 The master bedroom offers guests an ensuite bathroom with dual vanity, soaker tub and open shower. 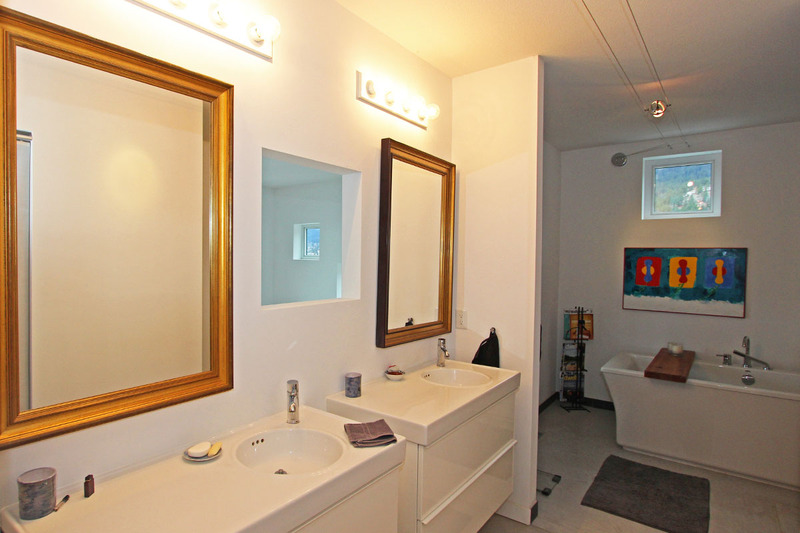 There is also a laundry area and large walk-in closet. 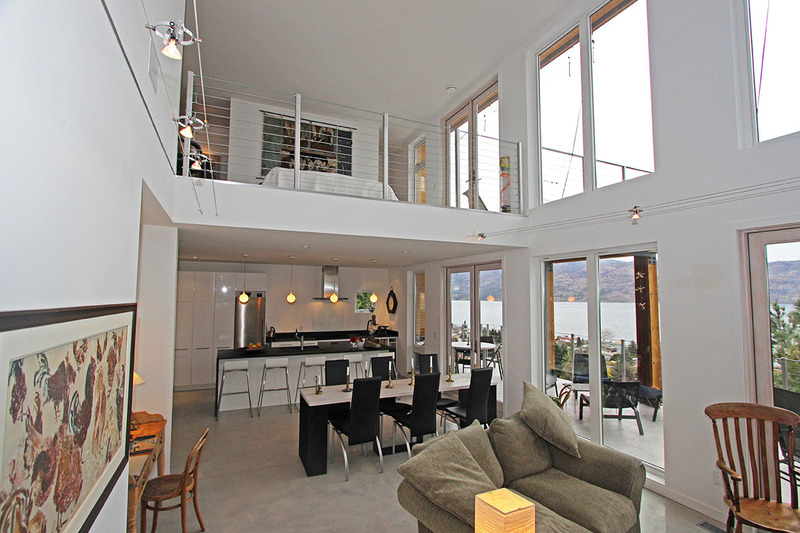 Double glass doors open onto the upper deck. 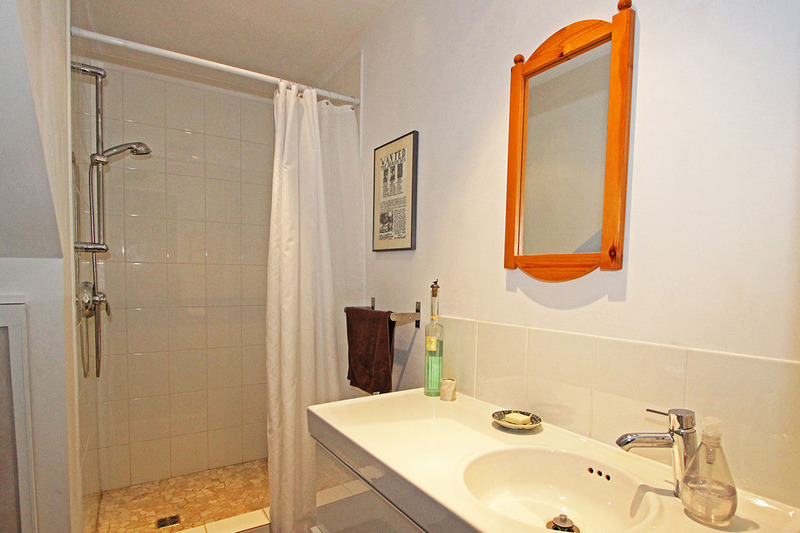 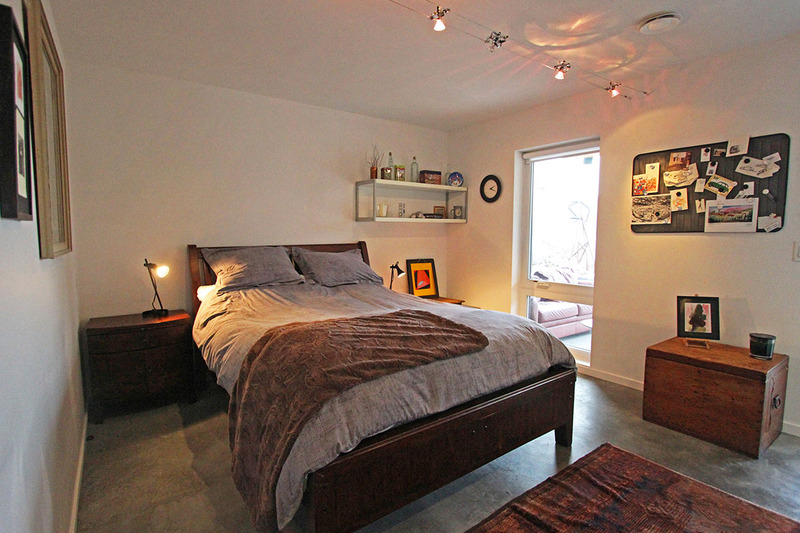 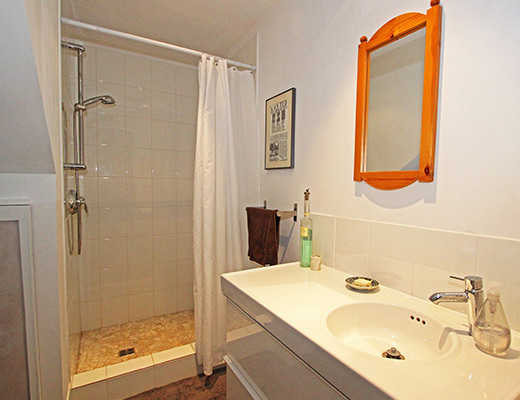 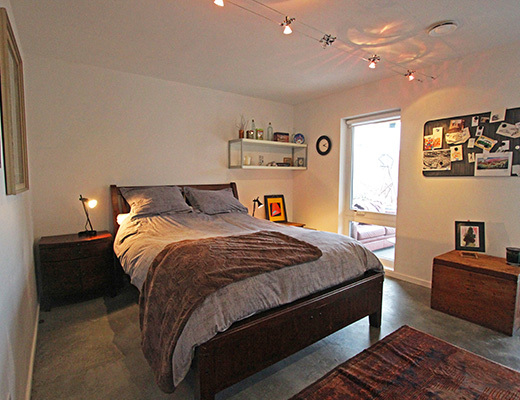 Downstairs is a second bedroom and bathroom opening onto the covered terrace and garden area. 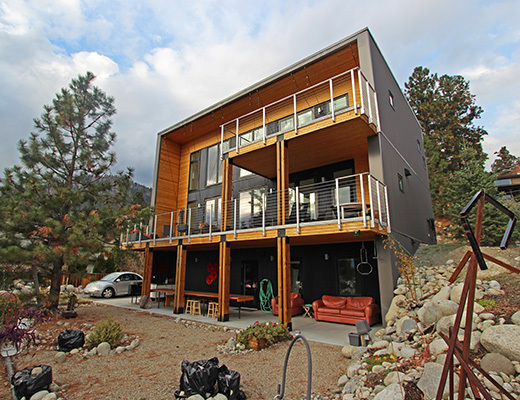 The lot is populated with Ponderosa Pines and stretches down the bank, off the garden. 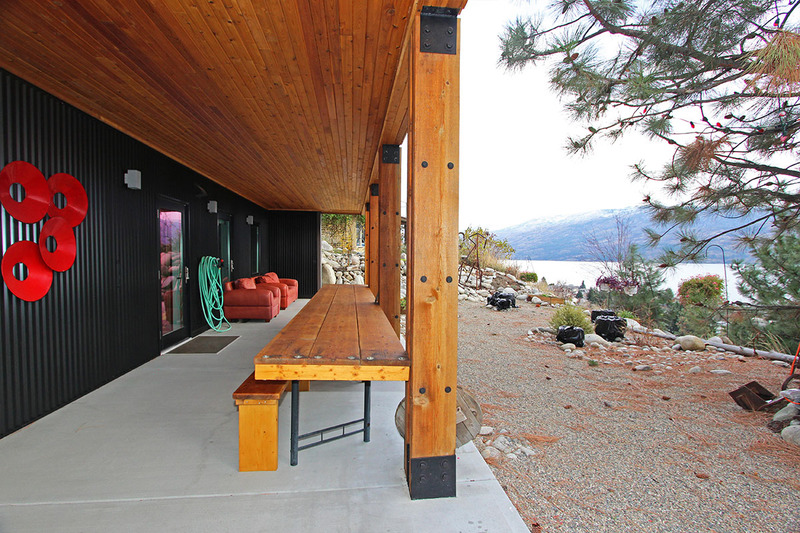 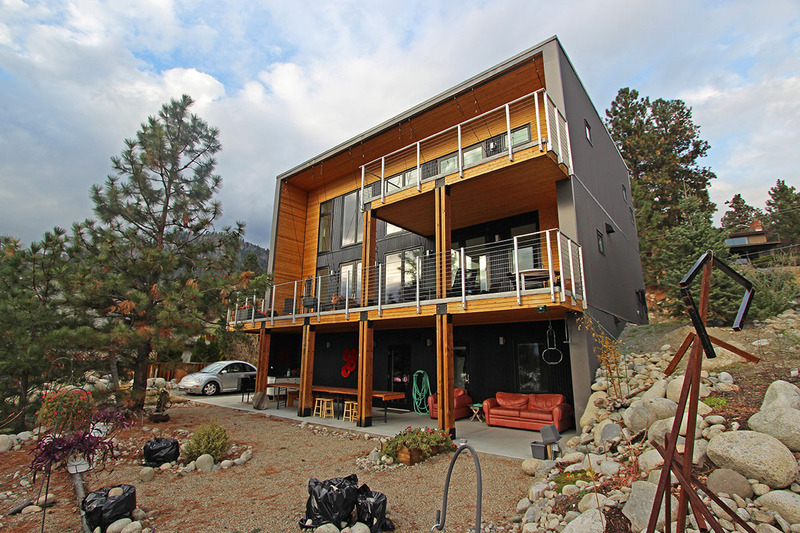 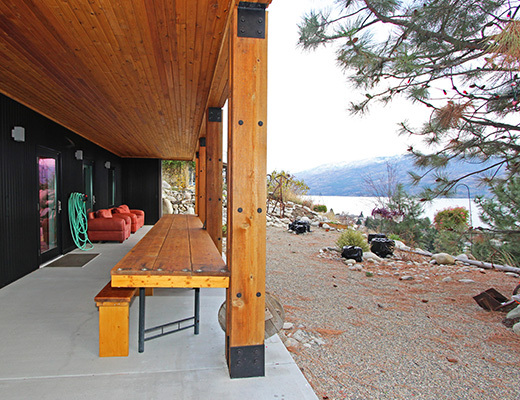 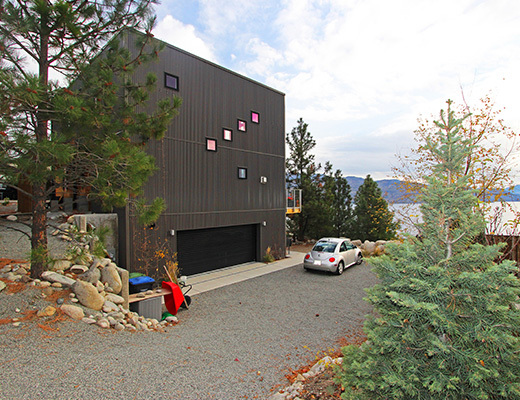 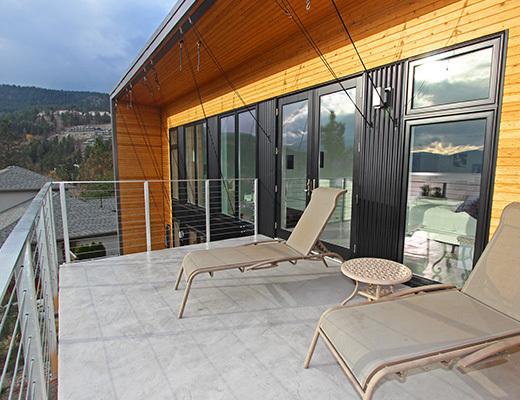 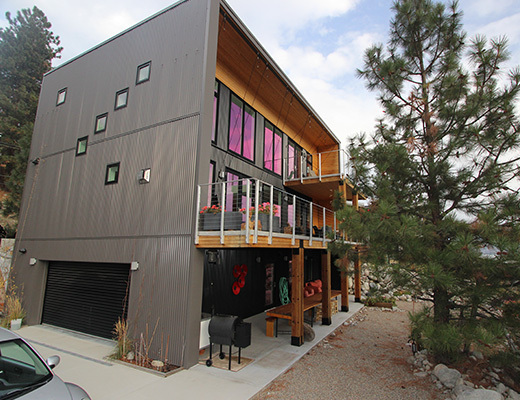 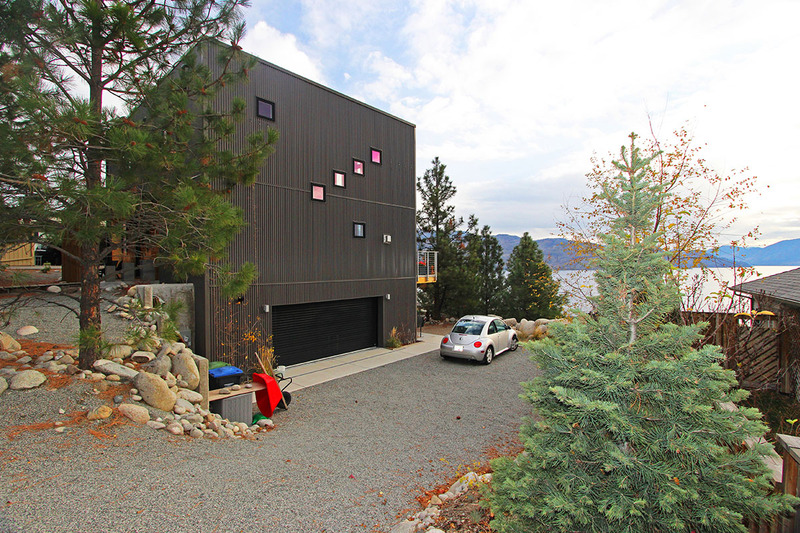 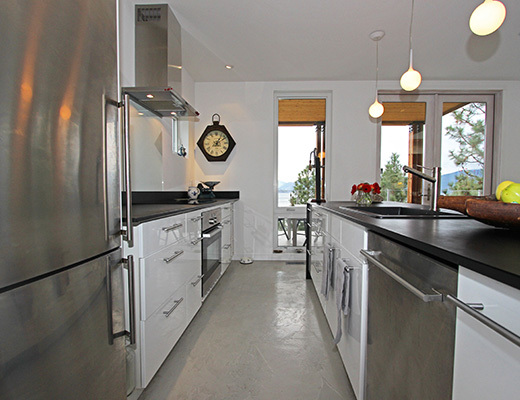 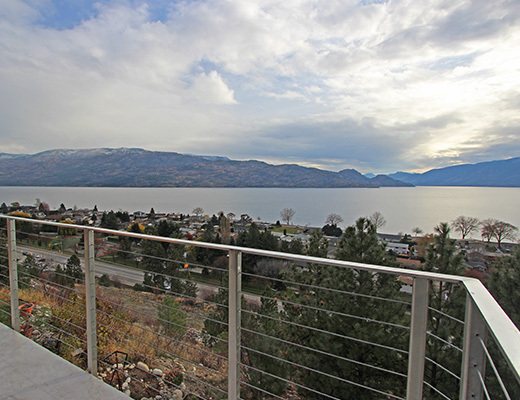 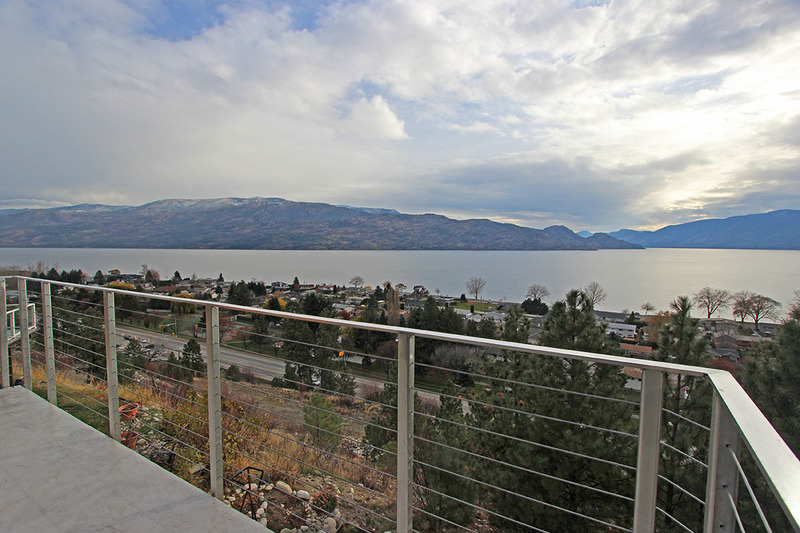 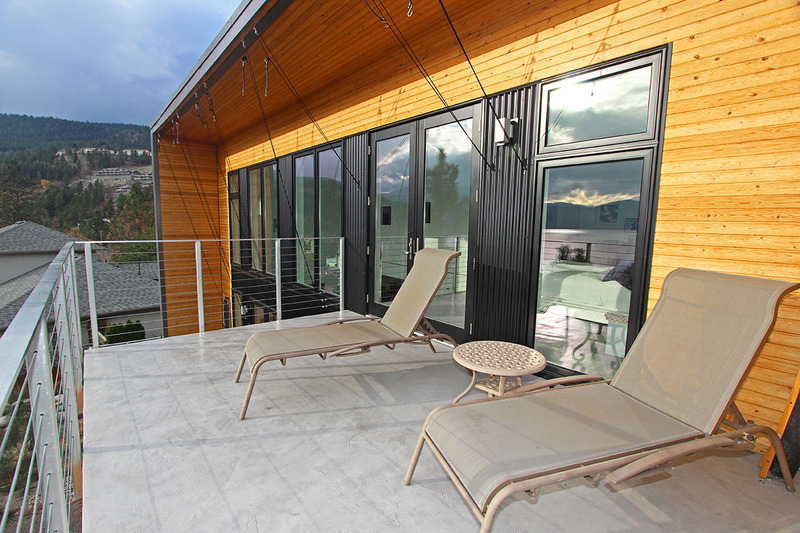 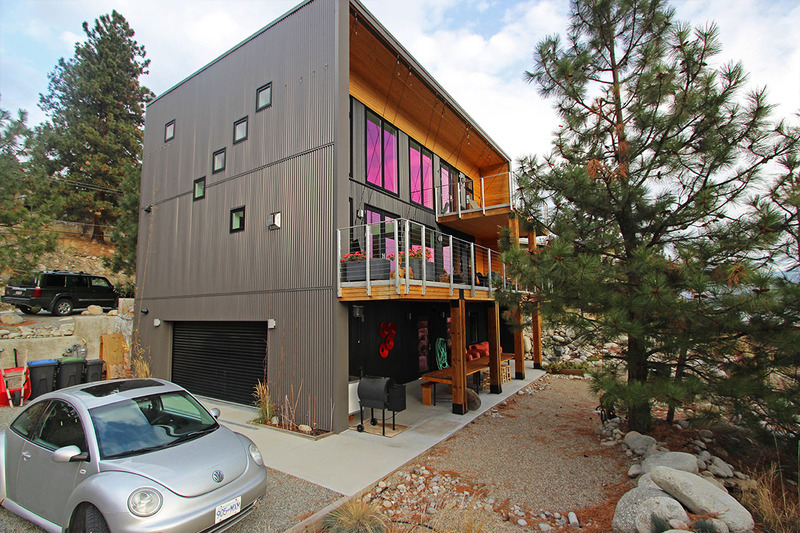 Guests will enjoy the convenient location within walking distance to many of Peachland's most popular amenities. 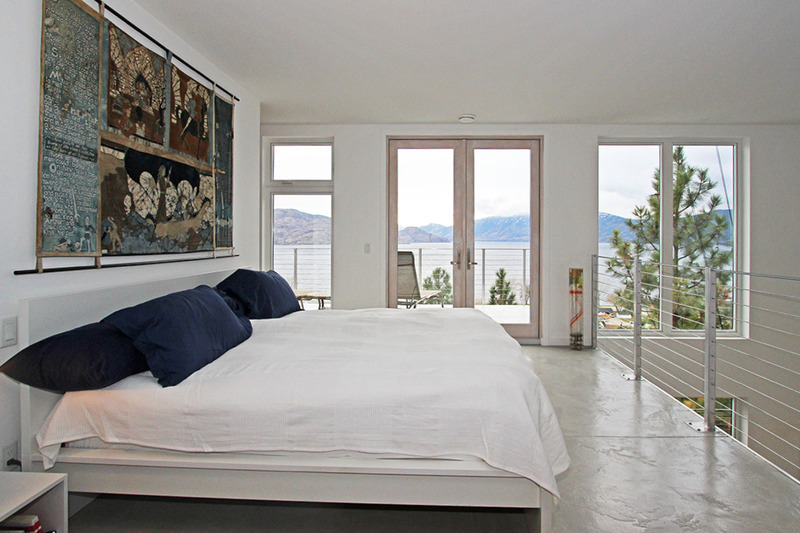 Special Note: A $150 cleaning fee applies to all stays.